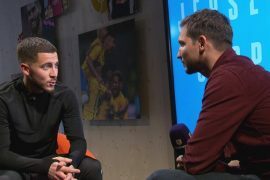 It would certainly hurt many Chelsea fans if Eden Hazard leaves Chelsea. The reception would likely be similar to the Thierry Henry got when he left Arsenal to join Barcelona during the summer of 2007. The Frenchman Henry is widely regarded as being the greatest Gunners player of all time. Some fans of Arsenal were hurt by his decision to leave the club, who were then managed by Arsene Wenger, while others understood the reasons behind such a move. At the time, Henry was one of the best forwards in the World. However, he played for a side under Wenger who looked devoid of confidence and a shadow of the side they were during the 2003-04 season when they won the Premier League without losing a game. Henry’s decision ultimately proved to be the correct choice. After he left, Arsenal endured a long trophy drought which only came to an end in 2014 when they claimed the FA Cup. With the Blaugrana, Henry went on to win two La Liga titles, one Copa del Rey and one Champions League (something which he did never win with Arsenal and which the Gunners have still never won and do not look like winning any time soon). Hazard has been one of the best players for Chelsea since he arrived at the club in the summer of 2012. During his time at Stamford Bridge, the Belgian has won two Premier League titles, one FA Cup, one League Cup and one Europa League. 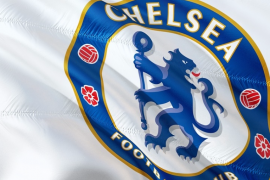 They have however never won the Champions League and it looks unlikely that they will win Europe’s premier club competition anytime soon as there is simply a gulf in class between the Blues and clubs such as Barcelona, Juventus, Manchester City and even PSG. Hazard is now 28 years old and at the peak of his career. It is certainly understandable if he wants to join a club which can help him finally lift the Champions League trophy. If he does move, Chelsea fans should understand the circumstances for the move, appreciate what the player has done during the past several years and move on.